Soy is one of the hottest topics of debate in the health food world today. Why all the differing opinions? Is soy healthy and should we be consuming it like the next magical panacea? And, how important is it in relation to fertility and getting pregnant? When soy beans are made into these wide range of products it becomes a denatured, processed food. But that is not even the worst of it. There are so many studies out (bottom of article) that show soy is not a healthy food; they show it may in fact be dangerous...AND that it could negatively affect fertility. I used to eat soy every day! To give you a little background on my relationship with soy, I have to let you know, I drank soy milk daily for four or five years. I ate veggie patties, cheese, yogurts, cereals, “food” bars, and protein powder! Whew, what else is there for a lazy vegetarian to eat? I thought it was the best and healthiest thing I could eat. That is until I started to realize how processed those products were. I than began more research (yes, I do this for fun!) and I then began to learn about hormones and the possible problems soy could cause. I immediately took our family off of soy; me, husband and dog. Study: Exposure to genistein during gestation and lactation demasculinizes the reproductive system in rats. The male offspring were thus exposed to genistein indirectly through maternal consumption during pregnancy and lactation. Male offspring of mothers on the high-genistein diet exhibited reproductive abnormalities and rats exposed to both the low- and high-genistein diets had shorter testes length, larger prostate mass, and lower testosterone concentrations. The researchers also looked at adult sexual behavior of male offspring. Those exposed to both low and high doses of genistein were less likely to ejaculate after mounting female rats. What this means is that pregnant and nursing mothers should avoid all soy as even a low-dose exposure to genistein caused subtle but significant changes in sexual behavior in male offspring. Journal of Urology, April 2003 169:1582-1586. There are so many systems that are affected by consuming soy, especially when we are pregnant. Processed soy foods also have large amounts of aluminum from the high-pressure processing system, which is toxic to the nervous system and has been questioned in harming fertility. Well, I could go on and on with more studies and negative results of ingesting soy during pregnancy or any other time in life, but I support you doing your own research to come to your own conclusions. As I am biased, I want everyone to be as healthy and happy as they can, so all of my studies and research will lean that direction. What would be good to eat to boost fertility that does not include soy products or any other products that are harmful to my reproductive system? Dr. Mercolas Soy Articles Huge amount of important soy info. Soy Studies Another great source of studies done on soy. Whole Soy Story Article from Mothering magazine. I wounder about soya oil. Me and my husband have used it the last 2-3 month for frying and cooking. Is it also having the same unwanted sideeffekts if we would like to conceive and on fertility? We typically suggest olive oil or coconut oil. We steer those struggle with infertility away from other oils, including soy oil and particularly if it is not marked non-GMO. Any soy grown in the US and consumed (fermented soy foods are find in moderation), should be non-GMO. Commonly produced from Soy Bean in Nigeria, is the Soy cheese. However, the processing involves removing the skin before grinding. Does this imply health risk as you explain here? If the whole of the bean is grounded or blended to give a paste that can be turned to cheese or other products, will that be better for consumption? (roughly 2-3 times a week), this should be fine. You listed one animal study in which animals were exposed to one isoflavone in isolation and in high concentration and also made a claim against consumption highly processed forms of soy which contain little of these compounds. A single animal study which doesn’t even reflect typical dietary habits in humans does not mean soy foods should be avoided. Only repeated randomised clinical trials in humans with the same findings to confirm this justifies such a discrimination against soy. Numerous population studies conducted in humans have actually shown many beneficial effects of whole soy foods including reductions in breast cancer and osteoporosis risk. This was an unfair article. We do only site one study here due to limited publication space, but as you’ll see at the very end of the article we link three other compilations of studies under “Soy Resources:”. We encourage our readers to explore there! As you are sure to know, animal studies are more prevalent than human studies in general. While we understand there may be benefits to eating non-GMO, organic, whole soy foods or fermented soy, the population at large is over consuming highly processed, GMO, filler- and artificial ingredient packed soy foods; foods that numerous human population studies are showing contribute to hormonal imbalance and infertility which is our site’s focus. The amount of soy given in this study is in a concentrated form and higher than a human would normally eat per day. If there would really be a problem with soy, then I guess it would already be a known problem in the Buddihistic population where they eat a lot of soy products. Soy is probably on the the most highly debated foods, in terms of its health benefits, that there is. While for some, those not dealing with infertility, whole soy may be fine to consume in moderation. The issue is that most who consume soy don’t indulge in the occasional pile of salty steamed edamame, rather highly processed, genetically modified (GMO) and non-organic spy foods like veggie patties, milk and cream, cheeses, yogurts, cereals, “food” bars, and protein powders. At least this is true in the US where much of the soy grown is GMO and then processed. This may not be true for those in all other countries. None-the-less if challenged by hormonal imbalance and infertility and you consume large amounts of soy, it may be worth cutting back some. My husband and I started trying to conceive in May and that first month I started taking a prenatal vitamin and I have since missed three periods in a row, the ingredients do contain a few different things that say soy along with one that just says soy by itself, could the soy in the prenatal cause irregular periods? I was regular before trying to conceive and I am only 21 husband 24. My doctor is very unhelpful and just wants to put me on some fertility pills. I am seeing a different one next month that will hopefully do some tests for me and give me some answers, but do you think the amount of soy in prenatal pills could cause this? I have not heard of a multivitamin containing nutrients from soy, or soy isolates causing a delay in menstruation. I have read studies where women consuming a diet high in soy foods have experienced menstrual cycle delays, and suppressed luteinizing hormone (LH) and follicle-stimulating hormone (FSH). Theoretically, depending on the quantity of soy in the multivitamin, it may cause shifts in the menstrual cycle. It may be worth reaching out to the manufacturer of the product to see if they can offer support. Could you be pregnant? I suspect your doctor would have checked for pregnancy, but must ask. Hormone imbalance, fertility health issues, poor nutrition, dietary changes, levels of hydration, age, stress and changes in stress levels (even minor changes), weight loss or gain, changes in exercise routines and even travel can all impact menstrual cycle timing. Could there be anything else contributing to this for you? I agree on this. But how about organic unprocessed soy products ? People in China have been eating soy (like tofu, soy milk, soy sauce) since 5000 years. Miso and tofu is fermented soy. What is your opinion ? We do feel in most cases fermented, whole, non-GMO, or organic soy can be okay in moderation for healthy women and men who are trying to conceive. The issue comes from the fact that soy, especially in the U.S. is processed and GMO, which is why we suggest not consuming it when trying to conceive. Should I be concerned about Bragg’s Liquid Aminos, as it is derived from soybeans? Used in moderation it is fine, but my herbalist colleagues prefer wheat-free, organic non-GMO Tamari. Thanks, looks like some great recipes. Ive never tried bee pollen of royal jelly. I hope it doesnt taste bad. I saw you could get it fresh in the refrigeration section of stores or in a pill and I think you can open the pills to add to shakes instead of having to swallow them do thats good, not tgst I cant swallow pills but its easier then having pills to swallow. Ive never been a big believer in vitamins unless you have a blood deficiency as I think the old fashion method of eating a balanced diet and extra vitamins in your body arent always good and my vitamin blood amounts are pretty much always good. But now ill try anything. Thank you for your comment. We offer Royal Jelly in capsules or a semi-liquid in a blend of honey, bee pollen, bee propolis and immune supporting herbs. The semi-liquid is great in smoothies. The capsules are great for people who don’t like the taste of royal jelly. They can be found in our Natural Fertility Shop. Thanks! So do I! I’m feeling like every month is the countdown till I get my period – each month hoping I don’t get it until I do and am disappointed. I’m thinking our problems might be bigger then soy, but to be safe, I will continue avoiding it. My husband threw out all his kadsa cereal which was expired anyway. Now he’s been eating Cheereos and sometimes eggs for breakfast and sometimes protein shakes, which I think are soy free, and sometimes some cheese. Take time to learn about Fertility Smoothies. They are a great, delicious, nutrient-packed way to start the day. Here also are our staff’s favorite breakfast recipes if you are interested in trying something new. Well my husband and I have been trying to get pregnant for a year with no success and I haven’t drank soy in years. It’s been ten years since I consumed soy. I drank like two huge glasses for about six months give or take, then I switched to just adding a little to my granola for a few months, then I tried organic chocolate soy milk and it tasted so good, then I quit. I hope it didn’t do permanent damage. I don’t think that’s why I’m having trouble conceiving. It was a long time ago. I’m not in love with nut milks, but I love nuts. At the time nut milks were not as readily available. Now I buy fresh milk from the local dairy when possible. If not, I get the freshest, most local milk I can find in Whole Foods. My husband’s fertility doctor told him to avoid soy. I’m going to see a doctor soon since he got tested, but knowing what I know about soy, I would avoid it. I’ve always been a little skeptical about soy, but my aunt swore on it. She turned my grandma on to soy, but obviously grandma didn’t have to worry about infertility or any side effects. Thank you for sharing part of your story. I hope your doctor’s visit proves helpful and reassuring. Interesting. I used to drink organic soy milk with organic chocolate syrup. It tasted so good. I drank two huge glasses a day thinking it was healthy and not as fattening as whole milk and more flavorful then skim milk. I’ve even used it in a mighty fine pudding, even though it’s not recommended. I still use whole milk and half and half in tea, hot cocoa, cooking and fresh ice cream (sometimes there’s no substitute for the real deal). After a year of using it, I noticed I was heavier, though I was still very thin, so I cut back. Then shortly after, I heard it caused infertility and I stopped. I was not completely vegetarian, loved my fish and chicken parmesan, but thought I was being healthy. Thanks for sharing! Many believe soy milk is a healthy alternative to milk. You were not alone! We suggest avoiding soy foods while trying to conceive because so many female fertility health issues are linked to estrogen dominance and there are several studies that have shown a link between consumption of soy – processed soy foods, one of which is soy milk – and decreased female fertility due to the phytoestrogenic actions of soy products. We are proponents of using nut milks and yes, full-fat, grass-fed dairy. Good morning. I have a question concerning soya. Had been drinking soya coffee every morning for the last 2 months with the feeling that it cleanses the system and flushes toxins to boost fertility but now I am confused and wonder if I have caused any damaged as I desperately wanted to have a baby. I can not speak the the quality of the soy coffee you consume, or the effect it may have on the body. We feel is best to continue to do your research and to consider cutting back, eventually discontinuing consuming soy while trying to conceive. Soy has the propensity to mimic estrogen in the body and regular consumption of processed soy foods, much of which is genetically modified (GMO), are the reasons why it is suggested that soy be largely avoided preconception, during pregnancy, while breastfeeding and in childhood. It is also important to consider that when whole soy beans are made into soy products, their original state is altered and there is potential for residual chemicals from the processing procedures to remain in the soy product. There are other natural ways to support the body in cleansing and detoxifying. Take time to learn more about Fertility Cleansing and herbs that promote detoxification. So I understand that soy milk, tofu, and other soy products are not favorable when trying to conceive. How about products like crackers, Belvita, and other snacks that have soy listed as one of the ingredients, or second on the list? Are they safe to eat moderately when experiencing infertility and hormone issues? What may be even more concerning than the soy content of crackers and snack foods is the preservatives, sugar content and that they are processed carbohydrates. Then, unless organic and non-GMO, many of the ingredients of these foods are GMO which research is showing many contribute to infertlity. I can not speak specifically to Belvita because I am not that familiar with this brand. We feel it better to choose sprouted grain crackers free of soy (if processed soy), choose whole foods a snacks (carrot sticks and hummus, a Fertility Smoothie, nuts and seeds, etc.) and to follow a nutrient-dense Fertility Diet. I was going to buy an organic greens food bar for a quick on the go breakfast but they contained organic soy sprouts. So I was just wondering what your thoughts are on organic soy sprouts with trying to conceive but having a menstrual cycle that is pretty much MIA since I went off birth control last May. Organic Soy sprouts in moderation would be fine to consume. The focus with the soy debate is mostly on excessive consumption of soy and GMO-soy which most soy in the US is, but also on the over-consumption of processed soy foods of which most on the market are. Organic often means Non-GMO, but consider looking into this with the food bar you are interested in. Soy sprouts are not processed soy foods, but the food bar would be processed. Consider also looking into how processed this food bar is. Does this make sense? Take time to learn How to Balance Your Hormones After Birth Control as well. There may be very helpful tips! Hi. Can you advise me on soy products please. I give my 13 year old daughter soya milk as she’s lactose intolerant and doesn’t like any other non dairy milk. I did it, thinking it was good for her for calcium, plus it means she can still have her beloved smoothies. However, she’s now at the beginning adulthood and hormones and after reading articles on the affect of soy on hormones, I’m worried that I may be causing her problems down the line. Many thanks. As long as your daughter is consuming soy in its whole form in moderation, there is no worry. Dr. Aviva Romm shares information in herb blog about Soy and Women’s Health: The Truth About Soy Benefits and Safety that I think will be helpful. There are a number of reasons to avoid eating soy, especially processed soy foods, as you have read, but there are a number of foods that positively support fertility and you can learn about them by learning about The Natural Fertility Diet: How to Eat for Optimal Fertility. I was drinking soy for a while, read up on it and now I swap between organic GMO free Almond and Oat milk. Read up on Oat milk and it still contains phytoestrogens. Just wondering if in your opinion Oat milk is a wise alternative to Soy as I like the taste of it more than both Almond and Rice milk. Thanks. Many foods contain phytoestrogens, but soy has been found to have the most phytoestrogens of all plants, known as isoflavones. The people most at risk for a hormone imbalance due to over consumption of phytoestrogens would be those that consume many processed soy foods daily, because they contain concentrated isoflavones. Thank you for sharing your story and experiences with soy isoflavones. I’ve been having some really weird changes since I stopped drinking my soy protein shakes. Towards the end of my use of the shakes I started my period, it was normal & everything seemed fine. I stopped drinking them during my period, the next week I began to bleed but not as much. Now everyday I am nauseous, my period this month is late & I am actually displaying a lot of pregnancy symptoms but tests are negative. have u heard of women developing these type of issues after ending their use of soy protein?? No, I have not heard of this, but I have read numerous studies and know people who have fertility issues due to over consuming soy protein foods. Thank you for your questions and sharing your experiences. I am consuming isolated soy protein powder for a long time .still i am not meeting any harmful effects in my body.I strongly recommend the process of manufacturing is very important before buy any soy product and preservatives play role in it. Thank you for sharing your experiences with consuming soy. Hormonal changes and rapid growth of the uterine fibroid can cause degeneration of the fibroid; the blood supply is cut off, resulting in calcification. Once a uterine fibroid is calcified it is a sign that it is no longer active and is no longer growing. The degenerative process encourages the body to calcium deposition. This has nothing to do with how much calcium maca contains, nor how much calcium you consume a day. Some doctors believe calcification of a uterine fibroid is a good sign because this means the fibroid is at the end of it life and growth cycle. In this case you would want to consider ways to eat the fibroids away and prevent new ones from forming. Fertility Enzyme Therapy, Castor Oil Packs, Self Fertility Massage and our Uterine Fibroids guide are all great places to learn more! Hi, I’m 18 years old and I started drinking soy milk everyday since the end of summer 2011 due to a low protein level. I was getting my period normally as well, however after my period in october I never got it again. Could it be due toto the fact that I have been drinking soy milk? It may have contributed to an irregular menstrual cycle or not. There is just no way for me to know. Please consider not drinking soymilk. Switch to almond, oat, hemp or cashew milk instead. If you are concerned, please consider seeing your gynecologist. HI, I’ve been considering taking soy isoflavones on cd 3-7 to help me ovulate, I have PCOS and this is my first month using NPC and i wanted something to help me ovulate and I read if you take soy isoflavones on cd 3-7 or 5-9 it will work like Clomid and induce ovulation. what do you think? Is there anything else that I can use to help me ovulate? I took vitex for 4 months straight and it did absolutely nothing for me I didn’t even get a period in those 4months. I was taking 500mg in the morning and night in pill form. please any advise? thanks! Using soy isoflavones, especially when self prescribed are not very effective or the best option. I feel that supporting and nourishing the systems that produce and control hormones is best. You can do this through good nutrition, herbs, supplements and natural therapies rather than manipulate the hormones. Many people think that soy isoflavones are natures Clomid and will stimulate ovulation. Clomid binds to estrogen receptor cells and blocks them in the hypothalamus. Once these are blocked your brain no longer receives signals from estrogen. This tricks you body into thinking you have low levels of estrogen (which is released from your follicles as they are maturing). This confuses your body and then Gonadotropin-releasing hormone (GNRH) signals release of Follicle Stimulating Hormone (FSH) which signals the follicle to release estrogen. The hope is that the Clomid will increase FSH production which will stimulate the follicles to release estrogen and then ovulation will occur. Honestly I have never had a woman say that she had really positive results using soy isoflavones this way. I find that most women end up creating more hormonal imbalance in the body. Once this happens you are back tracking; trying to figure out how to balance hormones even more than before. Vitex takes at least 6-12 months to be effective. I think most women give up on it too soon. I know that when you are wanting a baby it can seem like forever to have to use an herb for months to a year, but this is how vitex works, slowly over time, through consistent use. Do you also follow a PCOS specific diet, if not that is going to make a huge impact on your health. If you are wanting to know the best way to use NPC for PCOS please review our Progesterone Fertility Guide! Because of the way soy products are produced, marketed and sold, we feel that soy products in the diet or through isoflavone supplements contain concentrated forms of phytoestrogens, which may lead to estrogen dominance, exacerbating estrogen dominant conditions like PCOS. I started royal jelly for 3 weeks and cereals with milk for two weeks and with soy milk for a week.however,I got my period late for several days and got extremely heavy bleeding with clots during two hours on day 2.I almost cannot leave the toilet. After that two hours, it became very light flow as if it’s going to end. I am wondering if it’s royal jelly and soy milk causing heavy period with lots of clots. Should I stop both? If you are very concerned please contact your doctor. yes the result of this studies is not wrong. however there ways to get about that, which have been scientifically proven to be effective. in nigeria, we produce our home made soy milk by first, parboiling it for 30mins; after that, we soak it in an uncovered container overnight; then we wash off the back, which is peeling of already; then it is time for the soy beans to be grounded; after grinding, we add enough water and sieve it to separate the milk and the chaff. then the millk is boiled again (for at least, 10 mins from boiling point)to sterilise it in case of contamination while processing; sweetners and flavours can be added at this point, if one so desires. ur soy milk is ready for the taking. the benefit of this is that the process removes the toxins, while not ‘de-naturalising’ the soy. it may take some time but it is worth the while. so i encourage all lovers of soy, who have access to the beans to try this as it is perfectly safe and healthy. keep up the good and best wishes. Thank you for sharing your interesting story on how to make soy milk at home. After reading your article, I decided to read the label on my vitamins. I have noticed that the R.L. prenatal one vitamins label I’m taking says “contains soy lecithin in the vegetable glaze.” Should I be concerned about this amount? This is the only soy I consume other than soybeans on occasion, but I will begin to read the labels on everything more closely. Soy lecithin is a necessary ingredient for many products; it is used as an emulsifier. It is in very trace amounts and should not affect you much. Hi I am a man of 32 yrs .I took soy protein(Nutrilite) every morning with water(arnd 5gms)initially for 4 months than stopped for a while and now took it for another 2 and half months . I felt good initially but the second time when I started taking it my health deteriorated from normal.I have a average body structure and Instead of improving muscles my body fat content decreased further.Now after knowing the reports I have stopped taking it. Will everything be alright with my thyroid and fertility or the effects would be permanent? Will sperm count and testosterone level return to normal?Plz doctor let me know abt this as I am afraid?Do I reqire any medication. If you are very concerned about how this drink supplement may have effected your fertility you may want to see a doctor and get your hormone levels tested as well as get a full check-up to make sure your body is recovering from your deteriorated health. Your health may increase again through a wholefood nutrient dense diet and good wholefood multivitamin as well as some herbs and supplements. 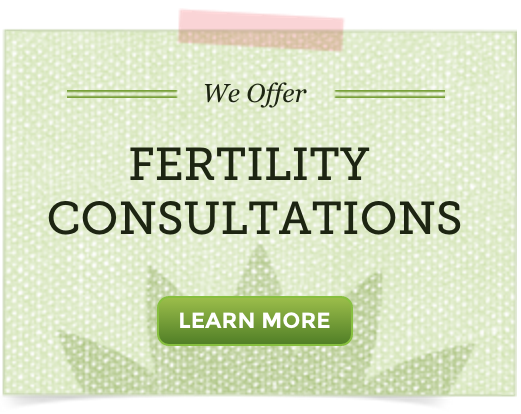 You may also want to learn about Fertility Cleansing for Men. We are not doctors we are herbalists. There are many other beans out there, if you are just only using soy beans everyday for your son’s food you may want to try some others out. Pinto, black, garbanzo, kidney, lentils. Just some ideas! Soy beans are fine in moderation. What was the best food should I eat so that my fertility will increase. I am curious if it’s okay and good for you to eat edamame (plain soybeans) that are unprocessed. Thank you! Eating plain soybeans and fermented soy is best in comparison to processed soy products. Examples of fermented soy are tofu, soy sauce and tempeh. I am trying to conceive for more than 2 years without success. I am diagnosed with left tube block (HSG) and hypothyroidisim. I dont know what soy processed food i was eating because i never minded.Now after reading those issues over fertily the soy food does,i am sacred that i got these problem in my system because i was consuming Soybean oil, as cooking oil for more than 3 years. Please answer my question if i am wrong or right. This article on soy is meant to be for informational purposes so that you as a consumer can work toward making informed decisions. There is no way for me to say whether or not you consuming soybean oil for 3 years may have caused your fertility issues. Blocked Fallopian tubes are usually not caused by hormonal imbalance which soy products have been linked to. But if your tube became blocked because of scar tissue from endometriosis, ovarian cysts or uterine fibroids then you may have hormonal imbalance. Often times diet may play a role in hyperthyroidism. Please talk to your doctor about this. I’ve been doing elimination of different food groups in my diet and I’m considering doing soy next since it is in so many products like our favorites- chocolate and bread. I can avoid chocolate no prob, but what about bread? It’s almost impossible to find bread without soy. I know I hate rice bread. Are there any other alternatives? Also, what about organic soy milk? Is it less processed than most? You could make your own bread. You’re probably going to have to read labels. Have you tried Spelt bread or sourdough? It really is about being smart about your choices and your reasons for wanting to cut out soy. I cannot say if soy milk is less processed, than what? I would say soy flour in a good wholefood bread is less processed than soy milk. The most dangerous soy products may be soy cheese and textured vegetable protein (tvp), foods along those lines are very processed. After reading all these comments, I would like to know if I can assume that is safe for me to drink soy milk and protein shakes, because I have lower than normal estrogen levels? It is up to you to decide if drinking soy milk is safe for you. We cannot decide that for you. If you have low estrogen levels you may want to look into learning about increasing your estrogen levels with herbs like licorice rt. or redclover instead of choosing soy. I have been reading all the information on how unhealty soy products for lady. That decision is up to you. We can only inform you of evidence based facts that processed soy products may effect your fertility. Whether you decide to consume them is up to you. It is proven that soy has the propensity to mimic estrogen in the body. Without knowing what your fertility challenges are there is not way for me to know if soy is a good option for you. If you have high estrogen levels it may not be a good choice. we like soy so much, but when i read about how harm it is, it really upsets me, because were using a soy sauce for our food, savory etc., its a part of our life already, it does affect also? if were using soy sauce? or as long that theres soy sauce ingridients? Soy sauce is usually fermented, so it should be alright for your fertility. Soy sauce is part of many cultures diets, don’t worry too much. Depending on how old your daughter is you can look into learning about Rice milk, almond milk or hemp milk.